At Casper In Home Care LLC, we understand how difficult it can be to put your loved one in someone else's hands. That's why it's important to us to put your mind at ease by providing the most experienced compassionate caregivers in the field. Our owner and operator, Charles Schoenwolf, has over 12 years of industry experience. Passionate about providing reliable in-home care, he decided to open Casper In Home Care LLC in 2014. Today, we are comprised of 30 experienced caregivers who are prepared to meet you and your loved one's unique needs. 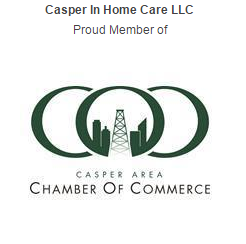 For quality in-home care call 307-251-4432 to schedule a FREE consultation with Casper In Home Care LLC today! As your loved ones get older or begin to have health challenges, getting around or tackling everyday tasks can be difficult. But that doesn't mean that your only options are to move-in or put them in a home. Instead, consider putting your trust in the experienced hands of Casper In Home Care LLC in Casper, WY. We understand that as your loved one ages, life can become harder to do. We also understand that there's no place like home. That's why we offer professional and compassionate caregivers that you and your loved ones can rely on. We strongly believe that each of our clients should get the health care they deserve.